Do more than give this Holiday Season. Change a child’s life forever! When the boy became eligible for adoption, Travis and Jenni welcomed him into their family forever as their son and gave him a name of his own, Malachi. Last year Travis and Michelle adopted a child who they had been fostering. Travis felt they should take a few months “off” from taking in any more foster placements. The holidays were quickly approaching and his work load was increasing. 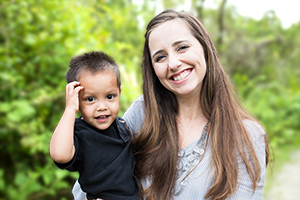 A few weeks later, Michelle received a notification that there was a newborn needing a safe home. 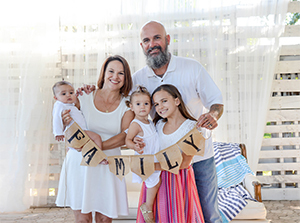 Michelle went to Travis assuming he would remind her of their “plan;” instead he said “Yes!” Several months later they were back in the courtroom, saying “yes” to another forever family member. At the age of 18, Ryan became homeless. Forced to leave their home, he and his father had no place to go. Ryan spent his last semester of high school bouncing from one friend’s home to another and eventually ran out of places to go. Ryan found out about Villages of Hope and was soon accepted into the program. He couldn’t believe he would have a room all to himself. 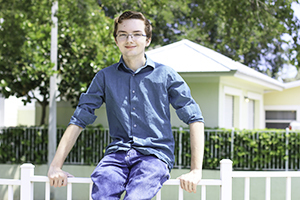 Ryan attended Palm Beach State College and is pursuing a career in voice acting. Cartoons always cheered him up as a child and he wants to give that same joy to more children.